When we live out God’s calling for our lives, we find ourselves amidst countless reminders of who God is and the treasure we’ve found in salvation through Jesus. 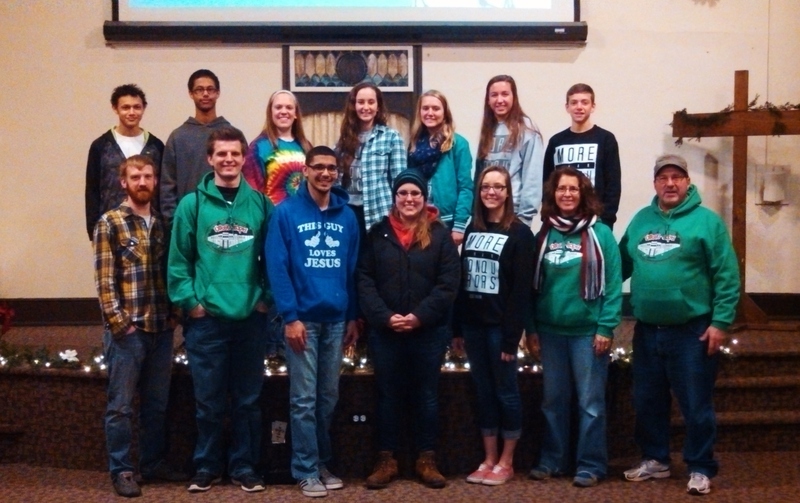 On December 7th, 11 GSM students and 6 adults met in the church lobby before travelling to Philadelphia to spend their Sunday serving with the ministry of Kingdom Kids at Urban Hope. God deeply loves the people who live in the crowded cities of America, and He is doing a great work changing one life at a time using the many hands like this team and previous teams for young and old to come to faith in Jesus Christ. There is a harvest field of people around Urban Hope ready for you to share God’s love and salvation message with them, don’t pass up opportunities to share JESUS. Throughout the day we were involved in outreach ministry primarily to the children but also connecting with their parents, family members and people passing on the sidewalks, as well as those who are hanging on the street corners. Consider joining us on a future day-trip to Urban Hope helping with either Kingdom Kids Ministry or joining David Rice on upcoming work days scheduled in January, February and March. Below are a few of the reflections from our GSM Lead students. We are grateful for the long-standing relationship with Urban Hope and their ministry in Philadelphia. If you are unfamiliar with their ministry, check out the video below to learn more. You can also click here to visit their website see more videos and testimonies by staff those whose lives have been impacted by their ministry. If you are interested in going on the next Urban Hope trip, email alweaver@meetgrace.org. Yesterday, we heard from Cindy Frederick as she steps out of her comfort zone for the sake of sharing the gospel. Today, we’re sharing a conversation we had with Kristina McKinney recently about her plans, GOD’S plans, and how learning to step out in faith and follow Him is changing her life. GRACE: Hey Kris, we were excited to hear from you about what God’s doing in your life right now. 11 countries. In 11 months? Tell us about it! Did you have any clue the 20-year-old you would be doing something like this? KRIS: In September 2015, I will be leaving to travel to 11 countries in 11 months. It’s called The World Race. In each country I will be serving alongside local ministries to reach out to the people of those communities. This means I will be working in orphanages, hospitals, schools, churches and more. God truly does know me better than I know myself because I always assumed I would be going to college at this point in my life and yet when He called me to serve through Adventures in Missions, I realized how small my plans were compared to His. GRACE: Definitely. And the God-sized plans always require a lot more faith than our own. So, has there been a specific verse you’ve been keeping on-hand to help you navigate through this process of “stepping out”? This has been an incredible reminder as I face my first obstacle to entering the mission field: MONEY. I have the tendency to feel this all depends on me. The truth is actually the opposite. God is the one and only provider. Yes, I have to work hard. But from there, I leave the results up to His divine plan. GRACE: Anytime God calls us to step out, there is always tension, obstacles, if you will (fear, worry, etc). What are some things you keep in mind as you continue to follow God’s leading? KRIS: When I begin to feel anxious and question how this all will work out I keep in mind how important it is to be Christ to the world. It is no small thing to live out your faith. It is no small thing to tell others about it, no matter where you are. GRACE: Do you have any advice for someone who might be feeling the Spirit “tugging” at their heart to step out for the sake of the Kingdom? KRIS: There is nothing more satisfying than knowing at the end of the day you have done exactly what God has asked of you. Fear is a tactic that the Enemy works all too well in our lives. It will keep us from the blessing God desires to give to us when we obey. Listen carefully to the Holy Spirit and suppress your fears, knowing that God smiles at our obedience. I can’t think of anything more beautiful than placing a smile on our Creator’s face. GRACE: Okay, so what can we do? What can we pray for? How can someone interested in supporting you get involved? KRIS: I need both prayer warriors and financial supporters. Please pray for my heart as I prepare to leave. I want to glorify God in all that I do, having the attitude of Christ so that the people who I serve will see Christ through me. Also, please pray for me as I start to fundraise. I am at the very beginning of a large goal. Pray that as I work hard, the finances will begin to come in. If God has placed it on your heart to financially partner with me, support can be given when visiting my blog and clicking on the “Support me!” link on the lefthand side. All gifts are tax deductible. I am also selling T-Shirts as a fundraiser for $25. All proceeds will go directly towards my trip. If you would be interested in purchasing a T-Shirt, please e-mail me at kristina_mckinney@ymail.com. Thank you for taking the time to learn about how God has been working in my life! I am excited to serve Jesus where He has called me as a short term missionary. To find out more about Kris’ testimony about her call to missions, visit here. Have you met Cindy Frederick? Those of you who do know her have most certainly been blessed by her sweet and compassionate spirit and her zeal for Jesus Christ. She is a prayer warrior at her core and we are excited to share news of her incredibly opportunity to spread the love of Jesus in Del Rio and Eagle Pass, Texas! We are confident that God will use Cindy’s spirit to minister in a mighty way. Join us as we pray for Cindy and God’s blessing on her and this opportunity. For years the Lord has been nudging me with a desire for missions, but this year He opened the door for me to step way out of my comfort zone and to accompany two contagious, Christian friends and their forty+ member team on a Christmas Mission Trip to the Mexican border! Jim and Melony Roche own Magnum Guide Service, a professional hunting guide service in Eldorado, TX where my husband, David, has hunted for twenty years. I met them four years ago and have watched the Lord working amazingly in their lives and their ministry called A.I.Y.M ( Adventure in Youth Missions). They not only know and love the Lord Jesus Christ, but they are totally sold out to Him and to His evangelistic leading in their lives including Backyard Bible Club, an outreach to elementary children; two trips to orphanages in Kenya, Africa; starting A.I.Y.M. High Camp in Colorado last summer; and annual Christmas Mission trips to an orphanage in Mexico. I’ll be part of a team taking Jesus and Christmas to Del Rio and Eagle Pass, TX from Dec. 19-22. Three crusades are planned where we will have evangelistic messages and a meal, as well as free bibles, toys, donated venison, and dispenses of pinto beans, rice, flour, sugar, and salt for each family that attends. We are also helping to supply the Loaves and Fishes Food Pantry in Del Rio. Please pray for the Lord to prepare the hearts of all who attend, that they may be most hungry for the Lord Jesus Christ, to receive Him, and to be touched by His love and provision. Pray for unity among the team and safety for all. Pray that all will see and know that “Every good and perfect gift is from above, coming down from the Father of the heavenly lights, who does not change like shifting shadows.” James 1:17 To God be the glory! We are so excited for Cindy and invite you to join us in praying for her as she follows the Spirit’s leading. Stay tuned in to the engagethroughgrace blog, we have some exciting pieces coming up of including the testimonies of some of our Grace Church Family who are answering God’s call on their lives. The news of our persecuted brothers and sisters often reaches us in bits and piece. A news article here, a headline at the bottom of the news channel next week sometime, a sermon a few months down the road. Sometimes, we’ll hear the Spirit’s whisper break into a quiet moment of our day. You have brothers and sisters who will risk their lives for Me today, every day…love them, pray for them. We want to say more but their experience of persecution is so far off from what we know. We freeze when faced with the weight of their reality, the torture endured and lives taken. The implications of their faith is amazing and beautiful. We receive Voice of the Martyr updates here in the church office to help us keep informed of what our persecuted family is facing. VOM is an incredible resource for keeping informed, current prayer requests, and opportunities to get involved, you can even write letters to prisoners. This past month, they included a list of 10 ways to pray for our brothers and sisters in Christ as they live to glorify Him regardless of the cost of suffering they will endure. Read it and use it as a framework as you join us in praying for them. And most of the brothers, having become confident in the Lord by my imprisonment, are much more bold to speak the word without fear. But you, beloved, build yourselves up in your most holy faith; pray in the Holy Spirit; keep yourselves in the love of God, waiting for the mercy of our Lord Jesus Christ that leads to eternal life. And have mercy on those who doubt; save others by snatching them out of the fire; to others show mercy with fear, hating even the garment stained by the flesh. Now to him who is able to keep you from stumbling and to present you blameless before the presence of his glory with great joy, to the only God, our Savior, through Jesus Christ our Lord, be glory, majesty, dominion, and authority, before all time and now and forever. Amen. ‘Tis the Season–Birthday Gift for Jesus Kicks Off TOMORROW! How wonderful is it that God continues to give Grace Church the opportunity to share the love of Jesus near and far? Speaking of “far”, part of how we’re celebrating the true meaning of Christmas this year is by showing compassion in Africa! It’s that time of year again and we are so excited to announce that this year’s Birthday Gift for Jesus will be used to benefit our Hand-in-Hand Partnerships in the Central African Republic; Rays of Hope Ministry in Malawi, Africa; and C.A.R. Relief Work. Hand-in-Hand Partnerships: For many years, Grace Church has been partnering with 3 schools in the Central African Republic who provide Christian education, clothing, food, and medical care for up to 50 orphans. Civil war and unrest has devastated many ministries in the CAR over the past two years, including the orphan partnership programs in the capital city of Bangui. The Hand-in-Hand partnership program has continued to function, however, as it is spread throughout the country in villages and is centered around the ministries of local churches. Not a single one of the 2,000 children in Hand-in-Hand schools was killed during the fighting, and many schools’ supplies were spared during the looting and burning of villages. Learn more HERE. 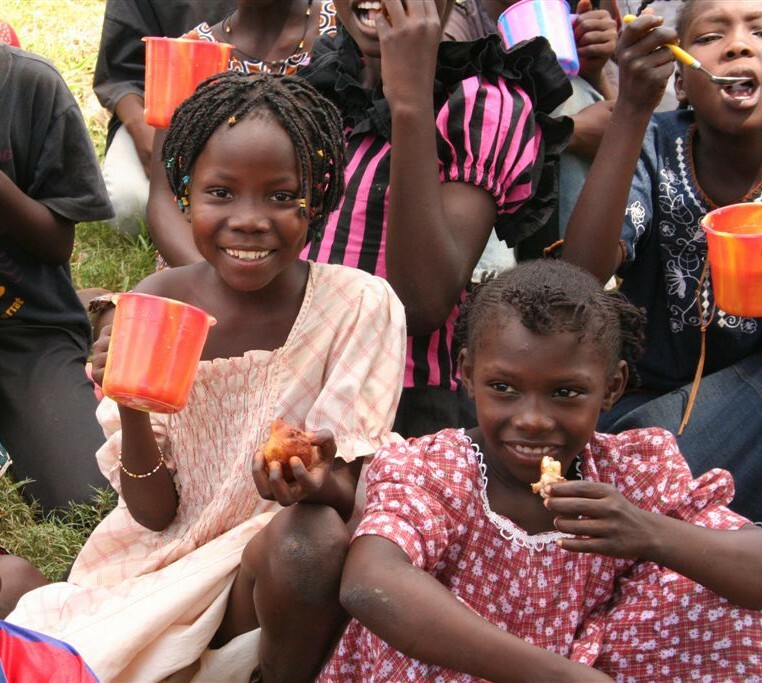 CAR Relief Work: Encompass World Partners continues to actively support relief efforts in the war-torn country of CAR. Financial contributions like ours are helping to provide food, seeds and farming tools, shelter, Bibles, and other practical items throughout the country. The land-locked, Southeastern African nation of Malawi is the 9th poorest country in the world, and Willie’s ministry reaches out to its urban youth (90% of whom live in slums), to provide the necessary foundations to become the Christian leaders of tomorrow. This is done through after-school programs, feeding programs, and job skill training. Click HERE to see pictures. Opportunities to give will last through the entire month of December. If you have any questions, stop by the missions table or at Guest Services. We’ll also have Birthday Gift for Jesus postcards for you so you can use it as a reminder to continue to keep praying for these ministries, their staff, and all who will receive help and the gospel of Jesus Christ. Brian and Stephanie Carpenter of Lebanon County are an incredible duo who have dedicated their lives and family to caring for orphans. They are the adopted parents of 6 girls, all of whom have special needs. The girls are from the ages of 7 to 17 and come from all over the world: Bulgaria, Ukraine, Taiwan, Russia, and the Philippines. To hear more about their story, listen to their recent interview on WDAC. We recently received an update from the Carpenters about their daughter Ellianna who was born profoundly deaf. Do you remember the snowy Wednesday before Thanksgiving? Well that was the first day that they turned on Ellianna’s Cochlear Implant. Imagine their surprise and joy as her dad, Brian, said her name and she turned in response. Praise God! All proceeds will benefit Ting Ministries and their orphan care work in Philippines, Ukraine, Pakistan, and China! For more information and a look at pictures of their beautiful family, you can visit their BLOG.